This innovative HDMI 5.1 audio processor can decode the digital LPCM 5.1, Dolby 5.1, AC3 or DTS 5.1 audio embedded in HDMI and output in analog surround sound format through its 6 RCA jacks. This unit can also extract Dolby Digital, AC-3, DTS 5.1 audio embedded in HDMI feed and output through its optical audio output. With both 6-channel analog surround sound output and optical audio output from this audio processor, your CD/MP3 music, DVD movies or online game comes alive when played through home theater system, powered speakers, subwoofers or headphone. User can fully enjoy the original digital audio content with all sonic details that the studio originally made for the movie. The decoded analog or digital audio output from this device will retain an accurate duplicate of sound for true home cinema experience with rich and vibrant audio. This audio converter fully conforms to HDMI standard with full HDCP compliance. The original HD video is directly passed untouched for deep color, 3D, lip-sync, etc through its HDMI output. This HDMI audio converter provides 3 simultaneous digital/analog audio outputs including 6-channel surround RCA outputs, 1 optical audio output and headphone style 3.5mm output for further connection with amplifier/receiver. All digital and analog outputs are available at the same time with real time passage. It provides reliable and accurate digital audio transmission with no loss. HDMI Pass Through Mode: Switch to Pass mode for the HDMI source to output audio according to what the TV or AV receiver can support. 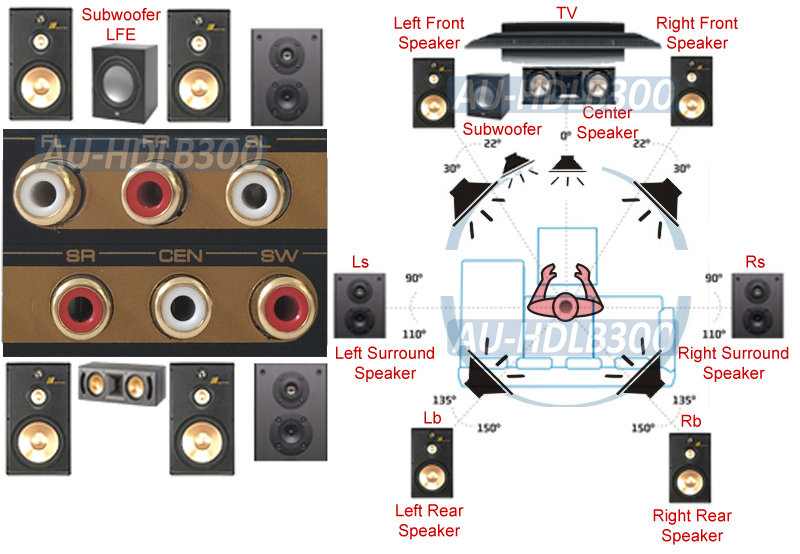 2CH Mode： HDMI source will output 2-channel digital stereo sound so HDMI out, optical audio out, RCA out and headphone out will output with stereo L/R audio. 5.1CH Mode： HDMI source will output multi-channel audio such as LPCM 5.1, AC3, Dolby 5.1, DTS 5.1 so the HDMI out, optical audio out and RCA out will output 5.1 surround audio. And the headphone out will stereo sound only. 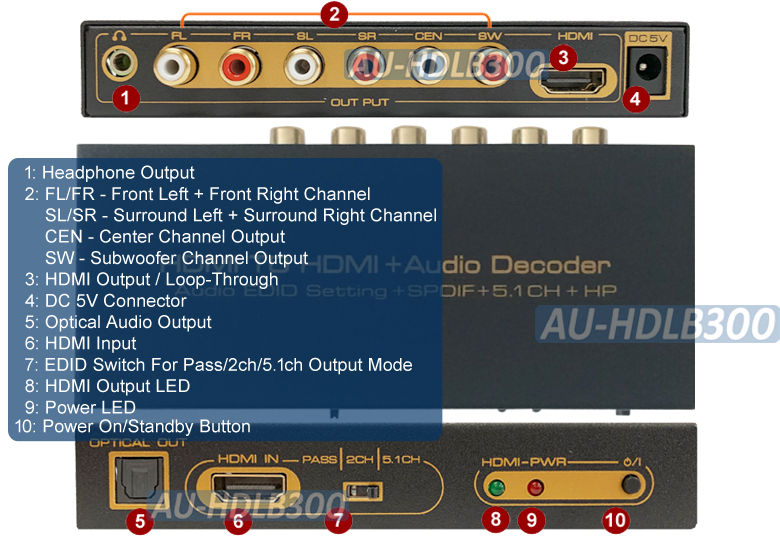 This HDMI audio processor can decode the LPCM 5.1, Dolby or DTS 5.1 audio embedded in HDMI feed from devices such as PS4 into analog surround sound for analog home AV receiver, preamp or amplifier. 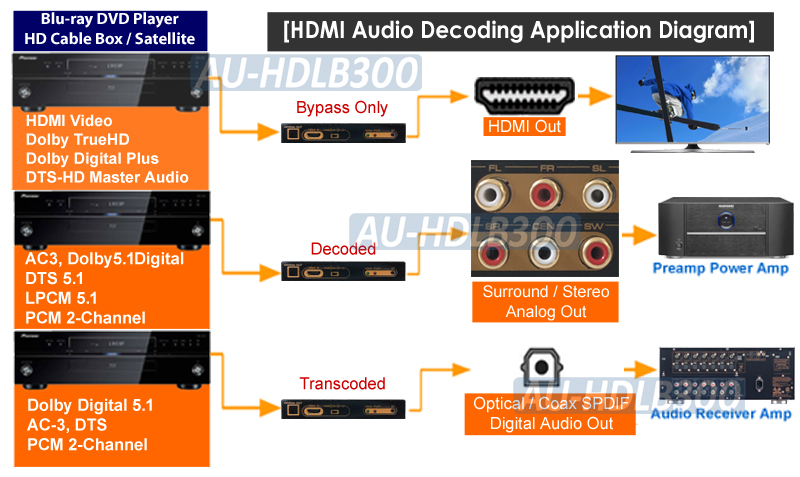 This audio processor can extract Dolby 5.1, AC3 or DTS 5.1 embedded in HDMI output from devices like PS3, blu-ray player, HD cable box, etc to digital optical format for further decoding by a DD or DTS decoder. The optical audio output of this HDMI audio converter can support 5.1 channels of surround sound audio such as Dolby 5.1 or DTS 5.1 and digital stereo such as PCM 2-CH. [Note]: For Dolby HD, Dolby Digital Plus and DTS-HD Audio, such bitstream audio can only passed through its HDMI output with no conversion and no decoding. This DAC signal processor is built with a 24-bit audio DSP with 96 KHz digital receiver for sampling rate up to 192 KHz. 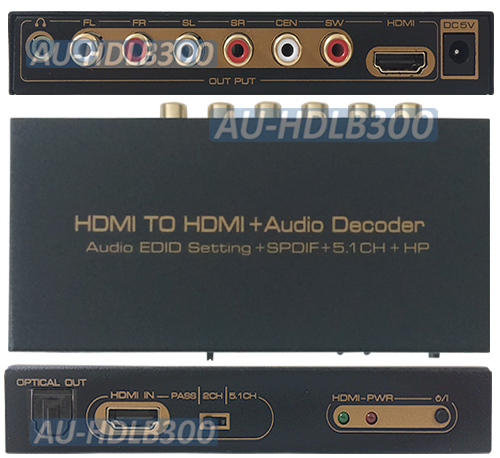 This multi-channel HDMI audio decoder is also able to provide powerful signal amplification up to 225MHz to ensure that the output from any HDMI source will be transmitted with same sharp detailed images and high definition audio sound quality to be maintained all the way to the display or receiver end. Premium HDMI multi-channel audio decoder and HDMI audio converter for bit-stream Dolby(AC3), DTS audio and LPCM 5.1 type uncompressed audio. Cost-efficient solution for integrating the new HDMI-based AV equipment with analog amplifier, receiver or homesteader system. All digital and analog outputs are available at the same time with real time passage. Decodes the LPCM 5.1, Dolby or DTS 5.1 audio embedded in HDMI feed into analog surround sound for amp, receiver or powered speakers. Converts Dolby Digital, Dolby 5.1, AC3, DTS 5.1embedded in HDMI feed to optical audio format for further decoding by other DD or DTS decoder. The decoded analog or digital audio output from this device will retain an accurate duplicate of sound for true home cinema experience with rich and vibrant audio. Easy EDID dip switch for HDMI output audio format selection so users can switch among 2CH, 5.1CH and external EDID (TV). Supports pass-through of deep color, Lip-Sync and 3D information. Supports HDMI input up to 1080P/60Hz with CEC and HDCP pass-through. Built with a 24-bit audio DSP with sampling rate up to 192 KHz for accurate bit-for-bit D to A conversion of sound. Integrated HDMI booster and repeater function helps devices regenerate and equalize their HDMI/DVI output signals to ensure clear signal transmission over longer cable runs. Supports daisy chain connection with other HDMI switchers/splitters or HDMI DVI distribution systems for achieving larger-scale setup.